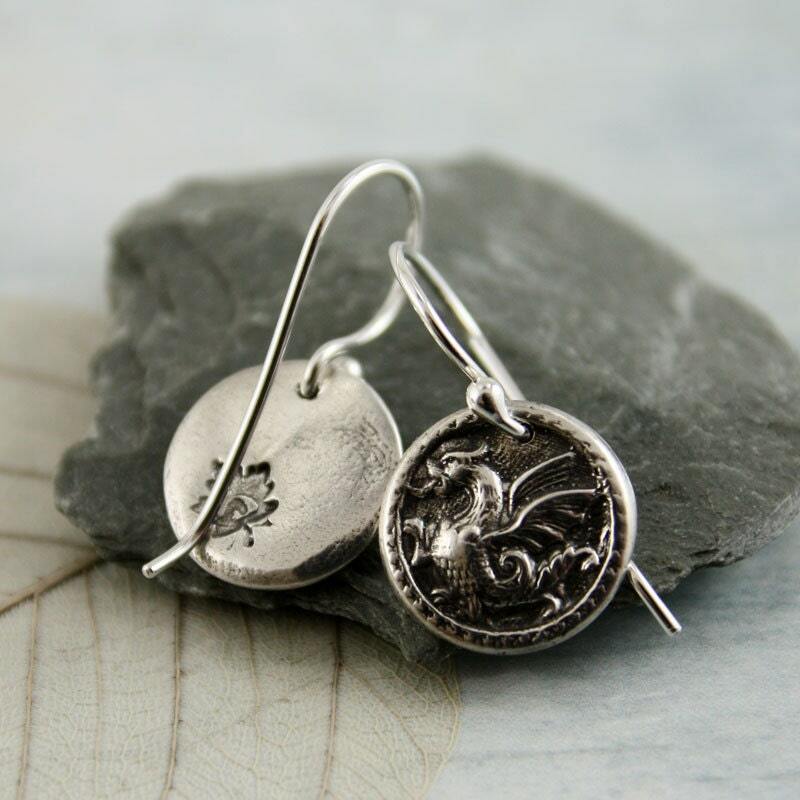 Classic earrings suitable for a walk in the woods as well as the opera. 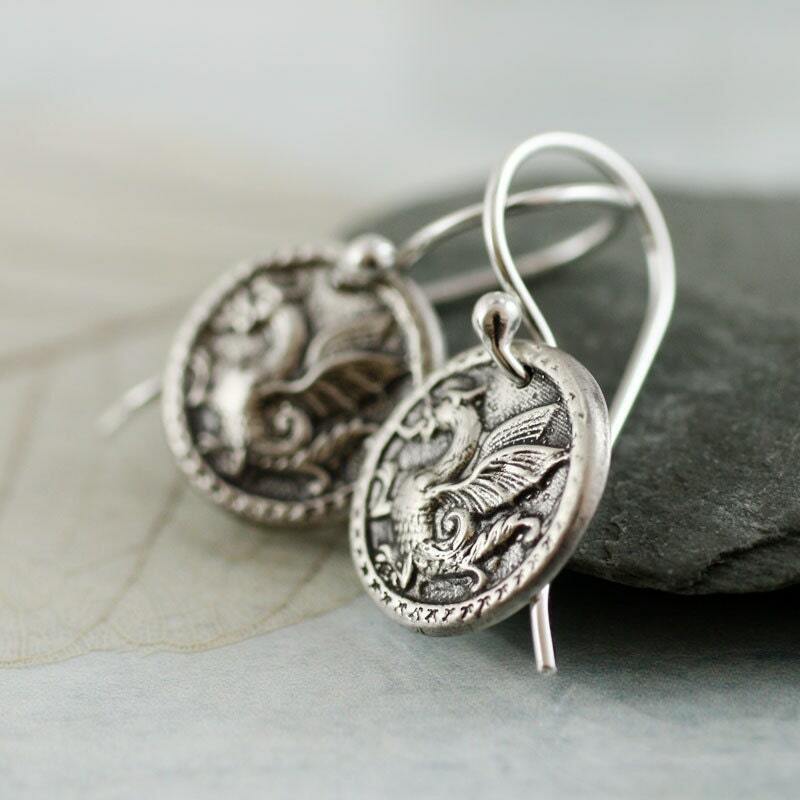 The drops hang from handmade sterling silver ear wires. They move slightly and catch the light magically. The back is marked with my logo - a little leaf. 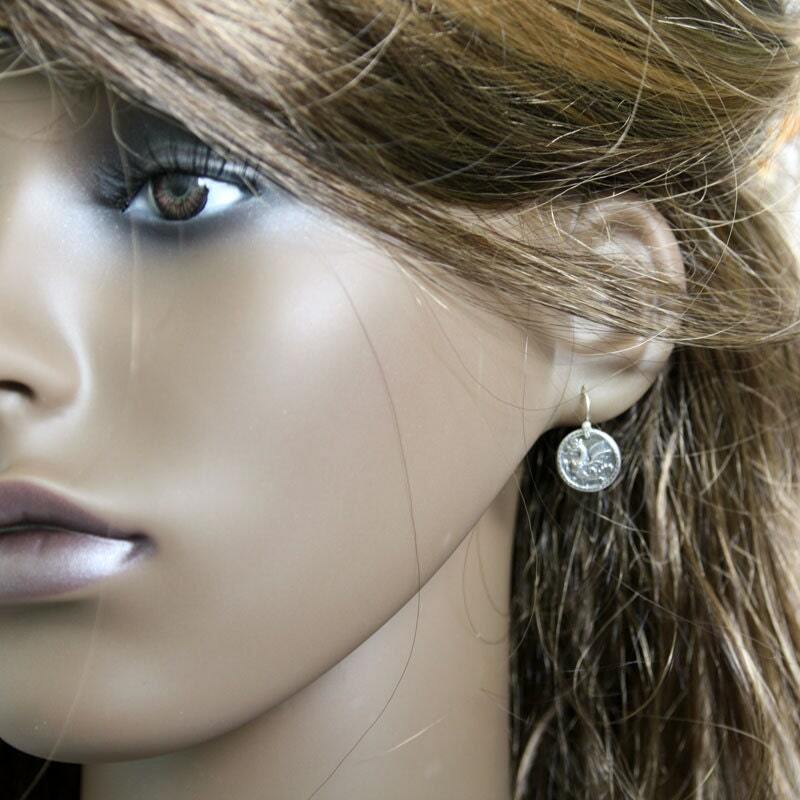 The drops measure 12 mm in diameter and hang well above the shoulder. Will arrive in a gift box ready for giving. Auch hier : Ohrringe , die man nicht überall sieht !!! Bin begeistert ! VIELEN DANK !!! 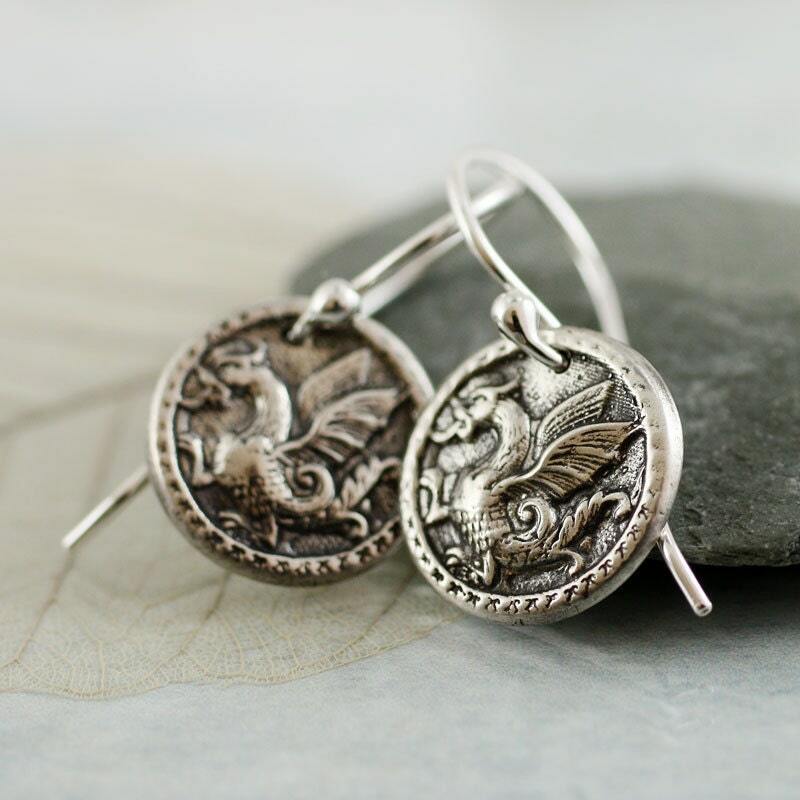 I love dragons and these earrings have a kind of ancient charm that makes them stunning. Highly recommended ! Simply lovely. 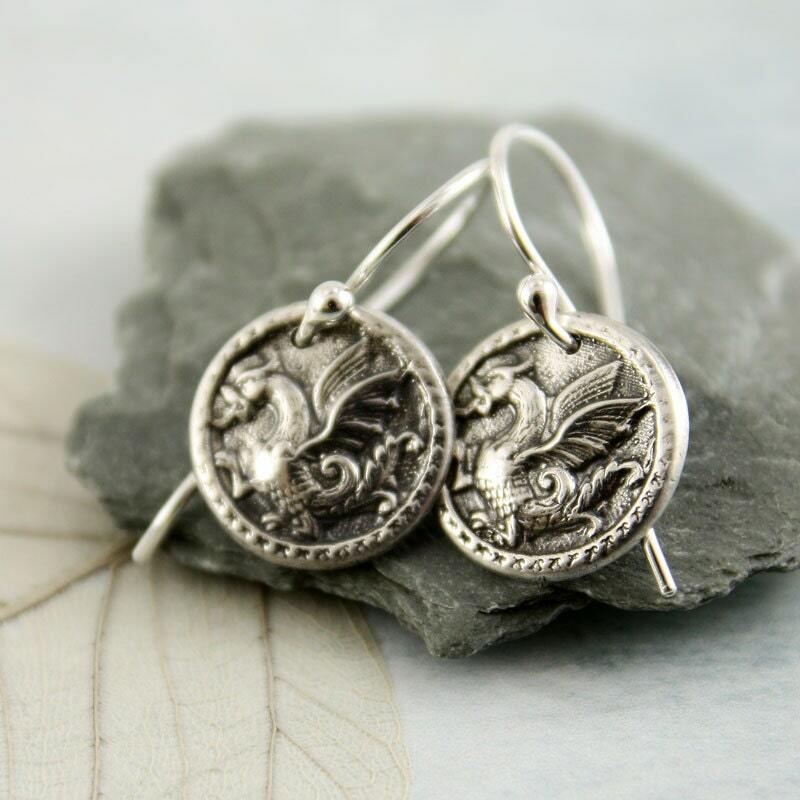 I am very happy with these earrings; they are pretty and delicate and understated enough to wear everyday. Very nice item, thank you!